Tree stumps located in wooded areas or near other living trees may not necessarily be good candidates for stump removal, however, if you’ve lost a tree on your property and would like to repurpose the spot, stump grinding is an excellent solution. As with all of the tree care services we offer in Western Vermont, our stump grinding is low-impact and high-quality. 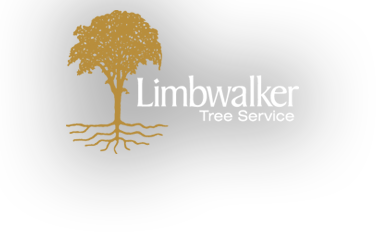 Instead of heavy equipment that can damage your lawn, Limbwalker Tree Service uses smaller, more agile equipment and employs safety measures to protect your surrounding property. Wheeled Grinders are smaller and can be self-driven to the stump for minimal impact to your lawn. Plywood Planks are used for transporting the grinder if the ground is soft, wet or muddy. Wood Chip Screens are set up to contain chips and prevent them from littering your property. In addition, our stump removal process is extremely thorough. We grind to level the roots diverge, so that the entire stump is gone and all roots are separated. The spot can then be repurposed based on your preference. Wood Chip Fill – We fill the hole with wood chips and leave the excess material behind for you to repurpose. Wood Chip Removal – We fill the hole with wood chips so that it is level with the ground and remove the excess material from your property. Soil & Seed – We fill the hole with soil and seed the spot for grass regrowth. Look for a tree stump in the woods. Compare it to love."